Beginning Tuesday, June 6, instructors from King of Prussia-based Stillpoint Yoga Studios will lead weekly yoga classes at the King of Prussia Town Center, located by the King of Prussia Mall. The free yoga classes will take place at 5 p.m. on Tuesdays through the end of July (excluding July 4). Following class, there will be happy hour with tastings from different King of Prussia restaurants each week. Restaurants located in the Town Center include Honeygrow, b.good and Davio’s Galleria. 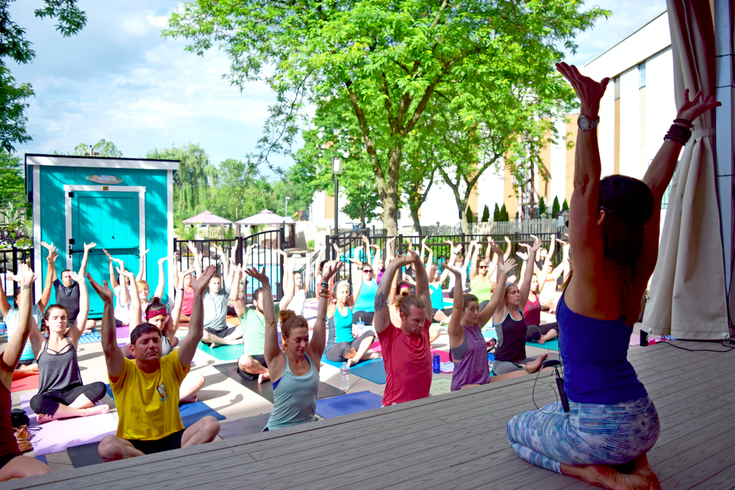 Yoga will take place on the pavilion outside Davio's Northern Italian Steakhouse. All levels are welcome to participate, just remember to bring a mat and water. The series was created by King of Prussia District and is presented by Einstein Medical Center Montgomery.